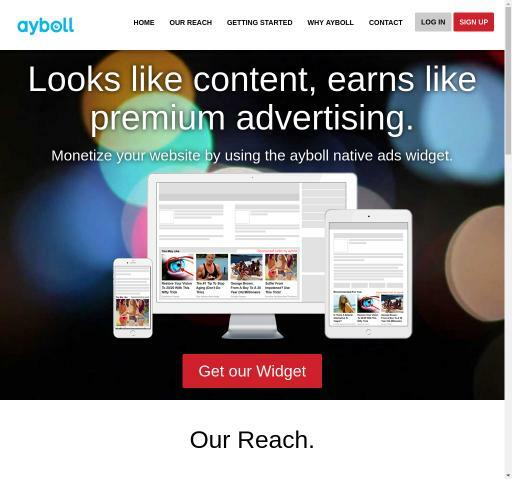 ayboll Native, Interstitial, Banner advertising network details. Why do thousands of clients choose Ayboll to help them optimize ad campaigns? Ayboll got a quick approval process that makes your account set up in no time. No contract will be needed and if you are not happy with Ayboll, you can end your partnership with the network without any cancellation fees. With Ayboll's self-serve interface, advertisers can create their own ads, pick their images, set their budget and modify their bid whenever needed. All ads can be targeted by country, device, category, language, and publisher site. Plus, its analytic system provides customers with benchmarking graphs, country reports, and other tools that give them more insights into the results in order to draw a proper strategy. Ayboll is committed to driving high-quality traffic to your website and always available to help advertisers boost their brand, sales, retain existing customers, and get new ones. You can check Ayboll reviews on Affbank and ask Ayboll Team any question by using the contacts above, especially about how to earn money!